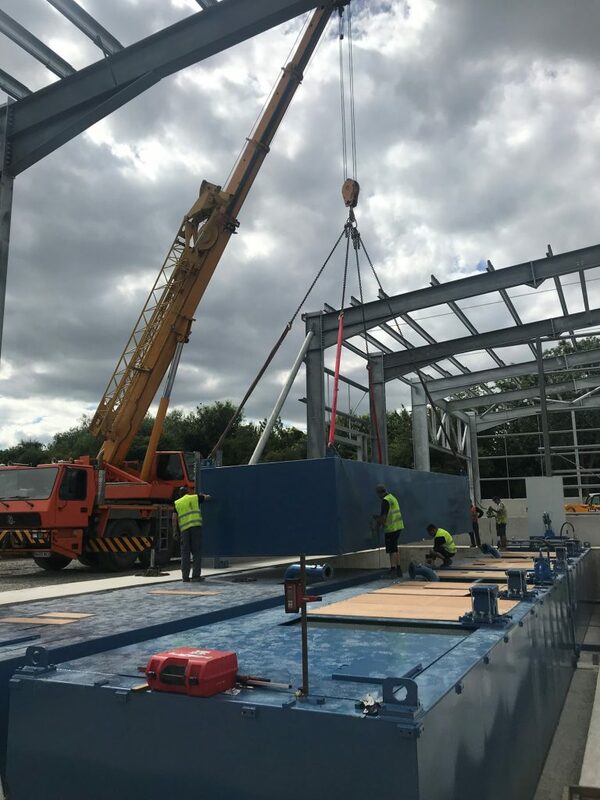 Nine weeks almost to the day since the first structural steel arrived on site the huge tanks which will store the chemicals used in our new Timber Treatment Centre have been hoisted into place. Next to go in will be the massive autoclave, the vessel into which the timber is placed for treatment under extremely high pressure. We’ll be posting pictures of that soon.